Today is the last Friday of the month, which means it's time for another update to the Got Goals? Bloghop. For those of you who are unfamiliar with the bloghop. 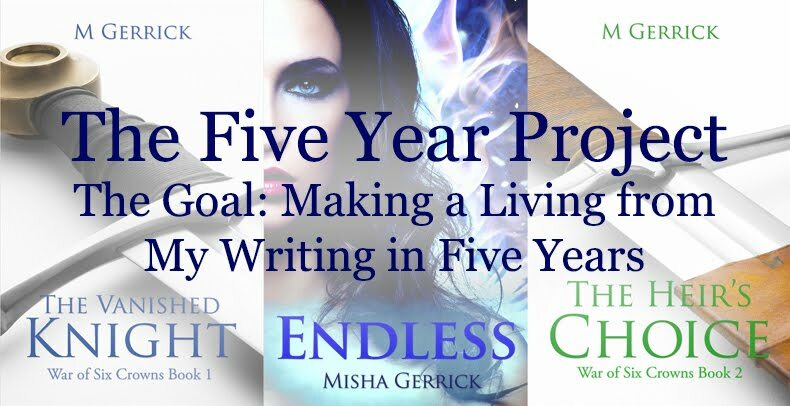 A few of us writers have set some crazy, huge or hugely important goals and are working toward achieving them. To keep us accountable and motivated, we post monthly updates on our progress. You're welcome to join in too. Just go here for more information. I went into September with multiple challenges facing me. For one thing, the book I've been wanting to work on (the Western Romance) ended up needing to be rewritten again. Usually, that's not a problem, but I really battled to get into writing it again. Eventually, I just decided to give myself a break and work on something different, which ended up taking the form of poems and a short story. A few days of that and it was as if the cobwebs finally cleared away. So I did finally figure out what I wanted to do with the romance and started on it. Along with that, I've managed to do some freelance work and work on my startup. So all in all, not too shabby, although I do wish I had written more. What do I want to achieve in October? I actually have a whole slew of things I want to do this coming month, so let's have some fun with seeing how far I get. 1) It's time for me to start revising Book 3 in The War of Six Crowns. I've given myself enough time off from it, so I should be able to see the glaring faults that I might have been blind to before. 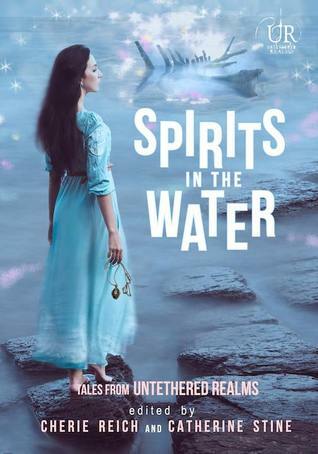 4) I want to help with marketing this year's Untethered Realms anthology, Spirits in the Water. River Fairchild presents You Can't Go Home Again. A young woman, filled with regret about the past, goes on a journey and discovers more than she bargained for. Meradeth Houston presents The Flood. Sometimes a flooded kitchen isn't the unluckiest thing to happen to you. Simon Kewin offers us The Waters, Dividing the Land. Hyrn the horned god of the woodlands is learning the meaning of fear. Death magic blights the land, threatening everyone and everything. To save what he can from spreading corruption he turns to the ancient river serpents, but they’ve grown old and distant, and may not hear his call at all. Cherie Reich presents The Folding Point. Aimee's fight against those who banned paper magics has begun. Catherine Stine offers Maizy of Bellagio. April still searches for her mother who vanished nineteen years ago from the fountain at Hotel Bellagio in Vegas. Can Maizy, a water sprite who works the fountain’s pink colors begin to help the three generations of eccentric women tortured by this tragedy? From USA Today, Amazon bestselling, and popular science fiction and fantasy authors comes Spirits in the Water, a supernatural anthology of eleven thrilling tales. Spirits in the Water is the fourth, long-awaited Elements story collection from the dynamic and inventive Untethered Realms group. Coming October 2017. 5) I want to edit and submit a short story I wrote this month. 6) I want to write at least four more poems in October. What about you? How did you do in September? What would you like to achieve in October? Last week, I didn't update anything. Mostly, it was because I had a mad week, including one day where I was sitting on a film set, pretending to watch tennis for about twelve hours. Honestly, though, I've been quiet last week for another reason: 911. Monday came and I didn't know what to say. I remembered the day our lives all changed, but I couldn't find anything to say about it. It would have been good to say that it's brought us closer together, but recent events have all but proven that it has not. How sad it was? That's ridiculous, given the cost of life, both on the day and as a result of the aftermath. It's not a sad day. It was and still is a tragedy. Do I talk about how the world has gotten up from this blow and became a better place because we refused to give in to fear, hatred and bigotry? Do I say I'll remember? That I'll never forget? Again... pointless because that goes without saying. But what does "Never Forget" even mean? Last year, I thought of it as a call to remember the dead, the loss of innocence. Last week, it felt like recalling an old grudge. So really. I'm at a loss. And I've been at a loss for days. This video is a continuation of my vlog on making sense of writing advice. In the previous vlog, I had pointed out that not all rules suit all people, so this time I shared the rules I apply the most to my own writing. I decided it’s time to get back to those writing rules. Previously, I talked about how no writing rule is ever hard and fast for every writer, but I thought it might be interesting to share my personal rules because those very much dictate the reading experience of my writing. Man. I actually have a lot of them. But let’s start with 5. 1) In rough drafts, there are no rules. For me, rough drafts are where my mind can really take wing and fly, so I try to write without worrying about anything. I write for me. What I find interesting. What I want to enjoy. And if that means breaking a million so-called writing rules, that’s fine. I rein it all back in later. Since I just let my words bleed onto the page, the end result is… Okay bad. It’s bad. Really. Really. Bad. But I expected that and it’s okay. I really don’t believe in perfect first drafts. Because in between the million things that don’t work in the rough draft, there are the hundred things that do, and I wouldn’t have found them if I kept stressing about the quality of my output. So I take those things I like and I build the story again from scratch, using those things as my foundation. And the result of that draft is miles better. My writing process is filled with stops and starts. I’ll do an intensive writing period where I’m rough drafting a book. As soon as it’s done, though, I set it aside for at least a month. Then I spend time furiously rewriting the same story. And another rest period. Then I revise. And wait. And edit. And wait… And so on. Because when it comes to perfecting my work, I need distance from it. Distance means time away. 4) Edit and edit some more. When it comes to getting the book ready for publishing, I’m a bit of an editing fiend. If drafting is for myself, editing is for my readers. So I’ll go over the manuscript again and again, doing my absolute best to make sure the readers have at least a little taste of my experience as I wrote it. This is also the place where a story goes from meh to amazing, so I go over it again and again until I find nothing more to change. And then I bring outside help in to see if they can’t find anything I missed. 5) At some point, I have to stop. This is probably the hardest rule for me to follow. I’m a perfectionist when it comes to my work, so I could find better ways to do things and say things and better places for commas almost indefinitely, if I let this perfectionistic streak run amok. So there’s a point where I know I’m satisfied enough and where any further tweaking is superfluous. That’s where I stop. It’s hard, though. And that’s where I miss having a publisher who can come in and pull the manuscript from my grabby hands. That’s it for today! What is your biggest writing rule? Heads-up to everyone wanting to support Hurricane Harvey victims: There's a charity auction going on right now here. If you're planning to self-publish, you can bid on my ebook and paperback formatting offer. I've been away from the Insecure Writers' Support Group for a while, but yesterday I decided to get right back onto that bandwagon. 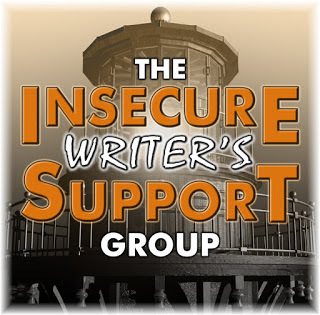 For those of you who aren't familiar with IWSG, it's the brainchild of Alex Cavanaugh, where us writers can go to share our fears and insecurities once a month, on the first Wednesday. In addition, there is also an optional extra question for those of us who just don't feel that insecure at the time. I have a huuuuuuuuuuuuuuuuuuuuuuuuuge insecurity this month, but I stupidly made that my vlog post for last Friday. Lucky me, I also have another, smaller, niggling insecurity that I've been trying to ignore. And that big insecurity has just made that feeling much worse. In short, I feel like nothing's getting done. Which is a stupid feeling for me to have, as I literally have a list every day, where I'm checking off task after task that I've finished. There was once a time when I was capable of rough drafting, rewriting and editing a manuscript in six to eight months. That's a lovely pace to maintain. And I did it while having a day-job. That's not the worst, though. The worst is that I've made the decision to become a full-time writer a year ago. Did that help me speed up? Nope. Because now that I have more time for writerly things, I somehow also have less time to actually write, because to be a writer who isn't also a starving writer, I have to do other writing-related jobs for money. This part is surprisingly successful. I haven't been able to write in more than a month, now. Mainly because of the crippling insecurity around that other book. But also because I conveniently have a million other things to do, which makes it so easy to procrastinate. Anyone else feel like they're stuck in mud with their writing? I'd ask how you get over that feeling, but I already know the only thing to do is actually stop moaning and start actually working on something again. Hey everyone! Before I get to today's vlog post, I just wanted to let you know that I signed up for a charity auction for the victims of Hurricane Harvey. I'm offering to format a book for paperback and ebook, so if that's something you need, you might end you getting my services for a steal. You can click here for more information. Okay! Time for today's vlog. As always, I left the script at the bottom for those of you who just can't get into the vlog thing. Enjoy! Which I tend to ignore because often, that voice is dead wrong. However, out of two books I’ve wanted to pick up for revision, this voice chimed in twice. And it was right… twice. Not that this is really a bad thing. I’m taking a long-term view of self-publishing. Yes, I could be publishing once every three months right now, but would I be happy with the quality of my books? Eh…no. Which isn’t to bash people who are able to do that. It’s hard enough to let go of a book as it is. Let’s not rush the process. But the thing is, my method has always worked as follows: Rough draft by hand, rewrite to computer (with a plan), revise, edit a million times, proofread a few times more, and then I’m ready for formatting. Except now it’s not working that way. Because now, when my inner editor takes a look at my rewritten draft, it’s seeing glaring weaknesses that would be better solved with yet another rewrite than with revisions. The last two times, though, my inner editor helpfully pointed out that somewhere between a half and three quarters of my plot wasn’t written. And that’s a rewrite-scope problem. How do I know? Because the first time it happened, it took me almost a years’ worth of rewrites and FOUR TIMES the amount of words to tell the story in the right way. But at least there I had the excuse of wanting to split a book in two. This time, no such luck. This time, I just let major plot points occur way before intro and build-up was done. And so it feels like at least the first third of a story is missing. Can I fix it by inserting those scenes? Not this time. Because stuff that’s missing now will impact reactions later. So it’s another rewrite for me. On a book that’s been rewritten four times already, over sixteen years. Have you ever prepared to edit, only to realize the underlying draft isn’t worth editing? Did you ignore that feeling or did you rewrite? How did it work out for you?